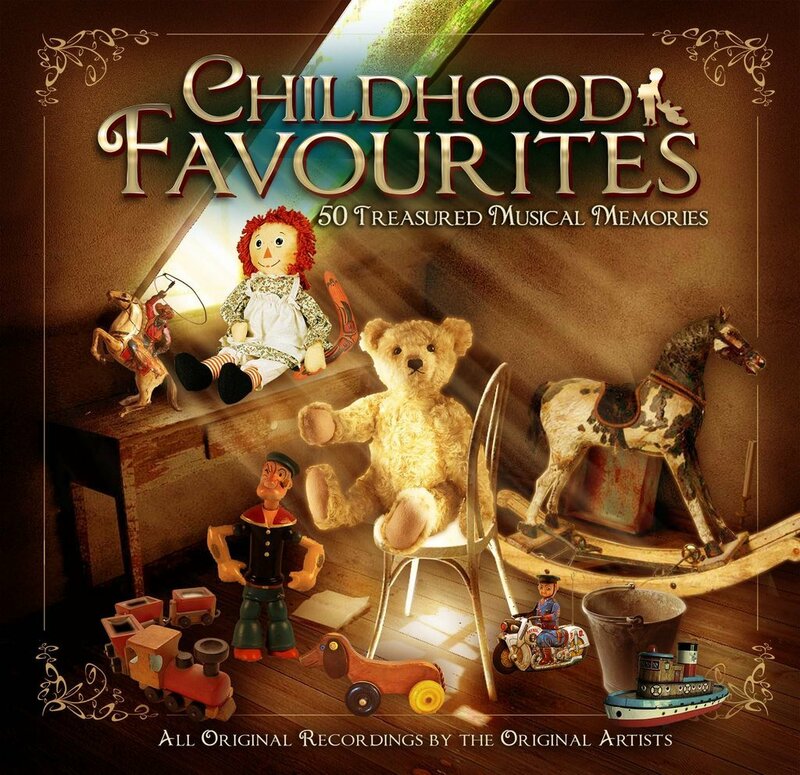 Gathered here are the classic playground hits to which a whole generation sang along – no fewer than 50 timeless tunes first heard in Disney films, as television themes or on one of the most popular request shows in radio history, ‘Children’s Favourites’. From Shirley Abicair’s Me and My Teddy Bear to Burl Ives’ Big Rock Candy Mountain, every track in CHILDHOOD FAVOURITES is the original artist recording, freshly restored and remastered to sound brighter than ever before. You’ll meet such crazy characters as The Laughing Policeman, The Three Billy Goats Gruff and the eccentric old lady who swallowed a fly. You’ll chuckle once more as Max Bygraves tells of romancing toothbrushes and Bernard Cribbins recalls the comic chaos of piano removal gone haywire in Right Said Fred. And who could forget those singing Siamese cats in ‘Lady and the Tramp’ (voiced by Peggy Lee) or how Nellie The Elephant trundled back to the jungle? Recapture the magic of a post-war childhood with Woody Woodpecker, Sylvester and Tweety Pie, Pinnochio, Jiminy Cricket and other cartoon heroes … hear the tales of A. A. Milne, Hans Christian Andersen and Edward Lear in unforgettable musical settings… and enjoy such master storytellers as Danny Kaye (The Ugly Duckling), Tommy Steele (Little White Bull) and Flanders and Swann (The Hippopotamus Song) at their incomparable best. Take a tuneful trip back to those carefree days of nursery and primary school with a compilation filled with joy, adventure and giggles galore. 13. Henry Hall and the BBC Dance Orchestra - Who's Afraid Of The Big Bad Wolf? 16. Lita Roza - How Much Is That Doggie In The Window?